Below are some upcoming calendar events for our customers. Please review and add them to your calendar. We look forward to seeing you there. This calendar is provided by Yext. Please contact us if there is any problems or if something needs correction at 732-248-1400. GAMKA: what we do does not automatically come to mind when you see the name, but our slogan, BUILDING ANSWERS, clearly announces our mission. We specialize in equipment rentals of small to medium size equipment. For more than a quarter century we have been distributors of building materials, construction supplies, construction equipment and Husqvarna outdoor power equipment. 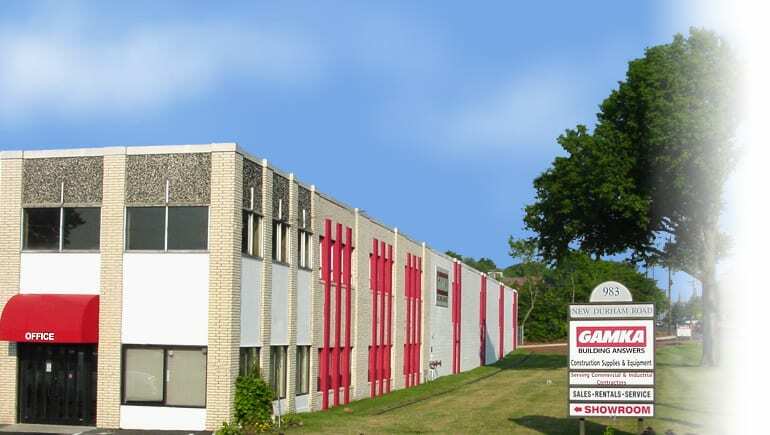 Gamka sells and rents construction equipment to contractors and municipalities in NJ. We provide Husqvarna outdoor power equipment and products to landscapers, contractors, tree surgeons, property managers, arborists and homeowners for their lawn, shrub, garden, and tree maintenance requirements to professionals and consumers throughout New Jersey. We provide this calendar for our customers. Largest Authorized Husqvarna Dealer in Middlesex County, NJ. Husqvarna Chainsaws, Professional Chainsaws, Lawn mowers, Snow Blowers / Snow Throwers, Garden Tractors, Ride-on Lawn Mowers, Articulated Lawnmowers,Zero turn Mowers, Trimmers, Leaf and Backpack Blowers, edgers, bed-edgers, pressure washers, Hedge Trimmers, aerators, stump grinders, pole saws and everything else for the professional landscaper or homeowner trying to beautify or maintain their lawns. You can also view Husqvarna.com main website.